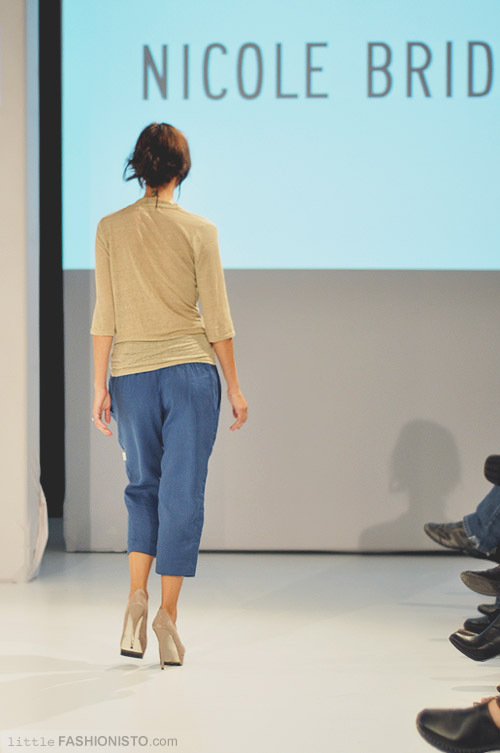 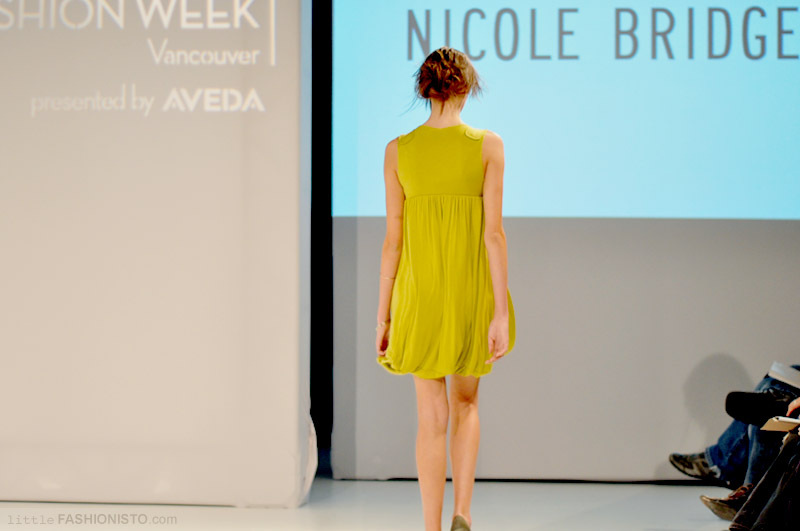 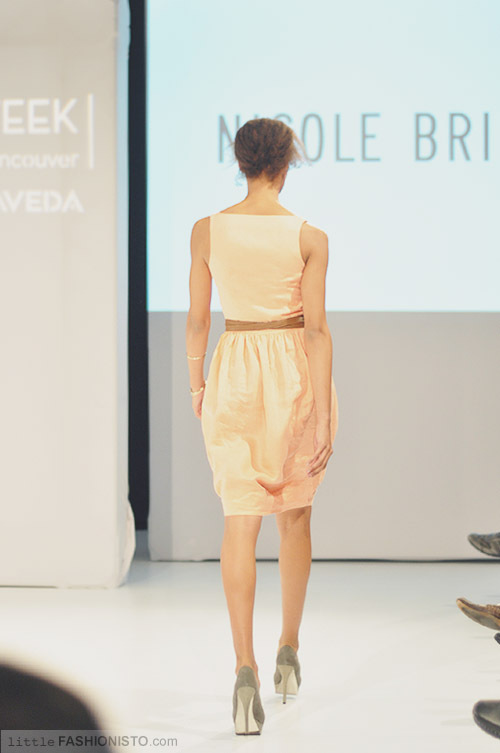 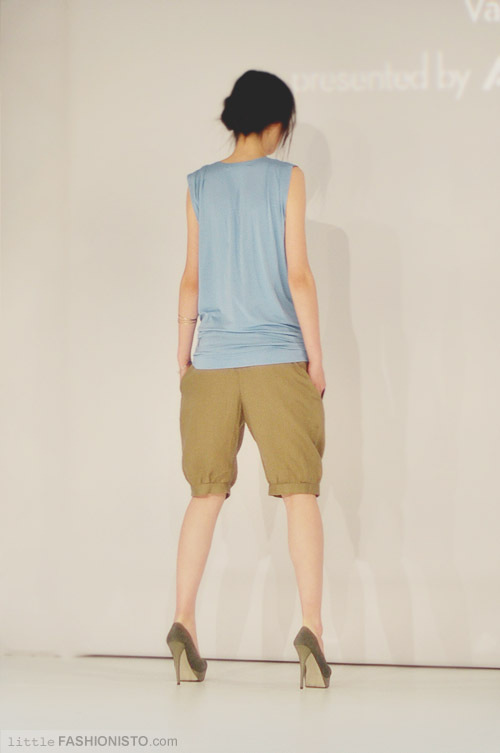 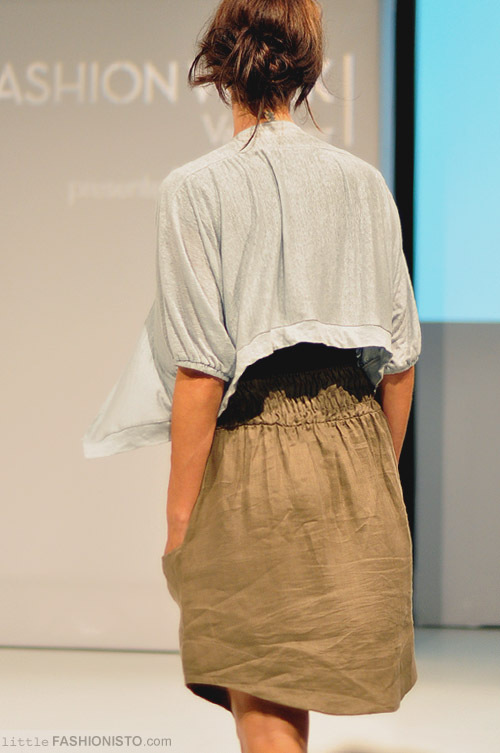 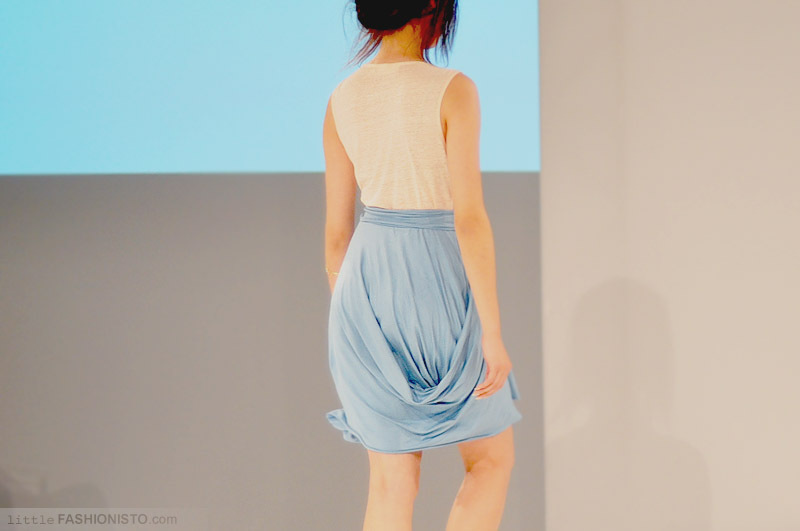 Eco-friendly, light drape and easy to wear pieces were the key elements of Nicole Bridger’s collection for spring/summer 2011. 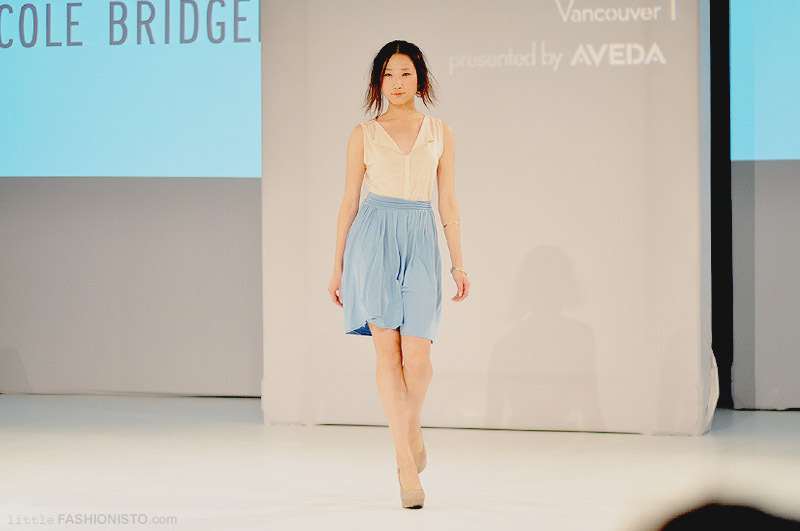 There were slight hint of sophistication and elegance (mainly from the fabric choices, cute dresses and sheer layering) without compromising comfort. 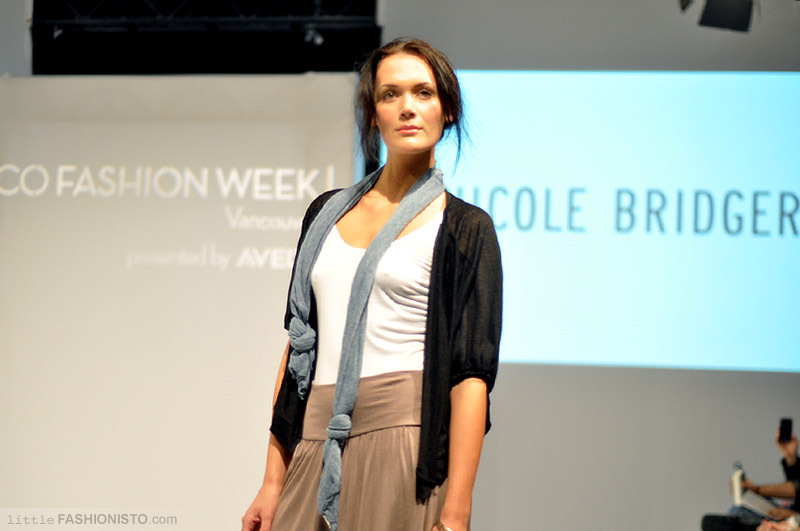 The color story are happy and vibrant mixed with neutrals for easy mix-n-matching purposes. 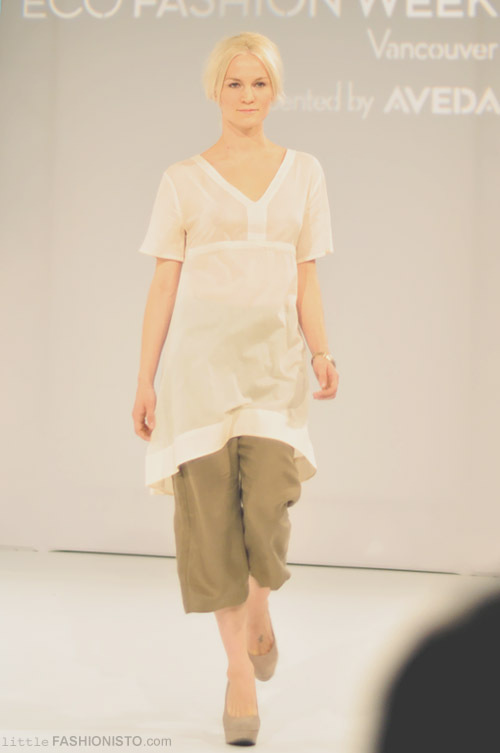 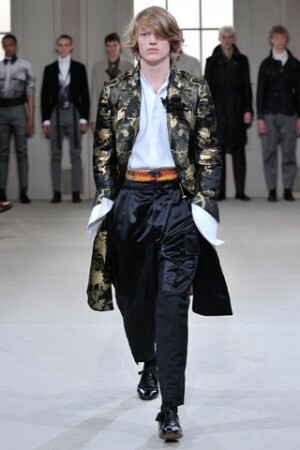 Overall, it was a fabulous collection and the fact that these are made with sustainable material sealed it for me.